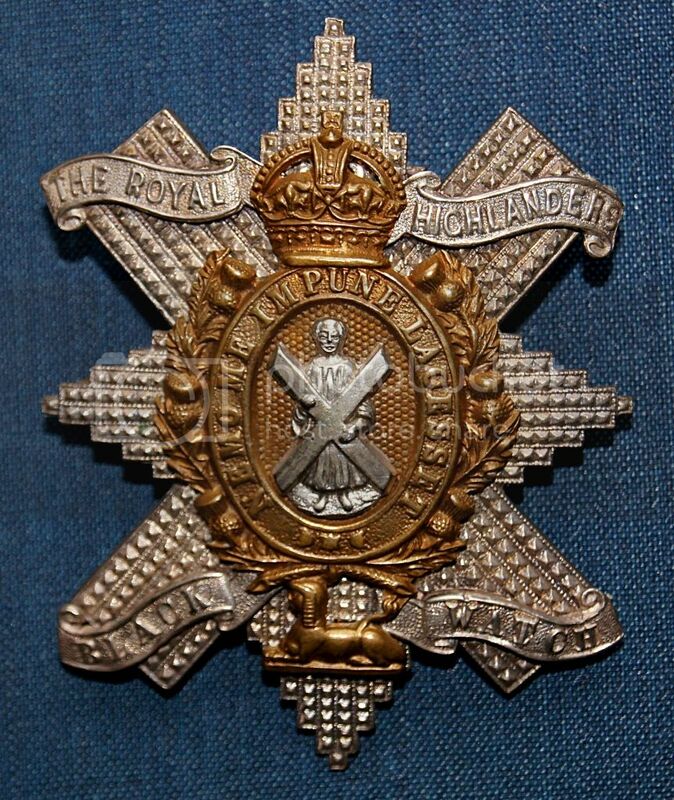 Black Watch Officers/Senior NCO's badge by Anderson. Mounted with tartan and tin backing plate. WW1 period. Appears to be unmarked silver. Hi Roro, nice badge it is the post 1936 pattern worn untill 1952. Can you please exlain if this is Officers or Senior NCO's? I was going to discard the backing plate but perhaps it should stay with the badge? Also, having trouble adding to my thread. What is the procedure please? As you made this reply I am slightly lost in what you mean by 'having trouble adding to my thread'. Can you explain what you want to do. I wish to add other posts to my thread. You are doing this by replying to a post. If you want to add more images to this thread then do that by clicking on the Image image.png or Attachment Attachments.png Icon when replying to a post. There are some Forum Help article here. There is also a FAQ section that is on the task bar above or can be accessed here. Roro, the badge was worn on the glengarry without any backing. Someone has added the plate and material for display purposes. Generally silver badges were worn by officers, but its not impossible for it to be a SNCOs also.